It makes sense that the Volkswagen Golf Alltrack is the perfect competitor to the Subaru Outback. Alltrack rhymes with Outback, doesn't it? Secondly, just like how pet owners know to hide medicine within a treat, both Subaru and VW know how to disguise the solemn practicality of a station wagon beneath SUV capability and veneer. The Volkswagen Golf Alltrack is as premium feeling as an Audi A4 Allroad and brings more driving enjoyment to this newfound rivalry versus the Outback. 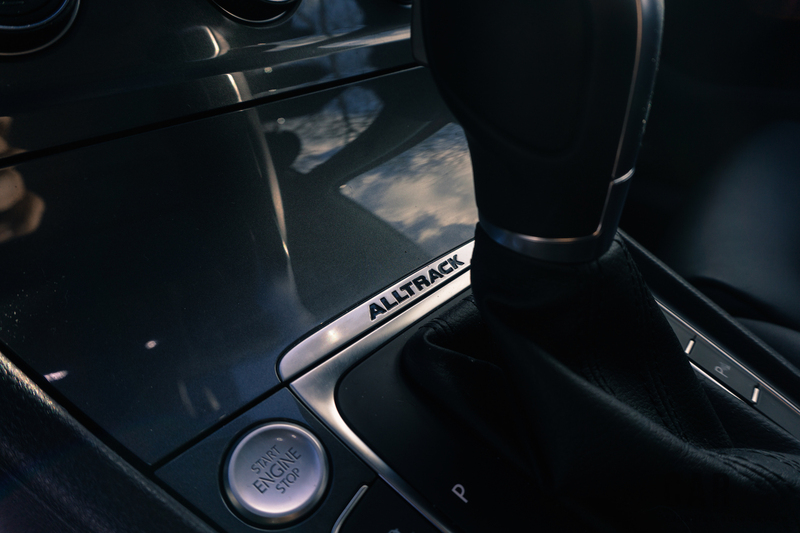 It may not impress on the price and size front, but the Alltrack comes loaded to tackle whatever you throw at it. Sport/utility wagons like this aim to attract adventurous owners, and the Alltrack follows the successful Outback and Allroad recipe. Black body cladding on the bumpers, flared fenders, and side sills provide a bit of added protection, but they’re mainly there to make the car appear more rugged. 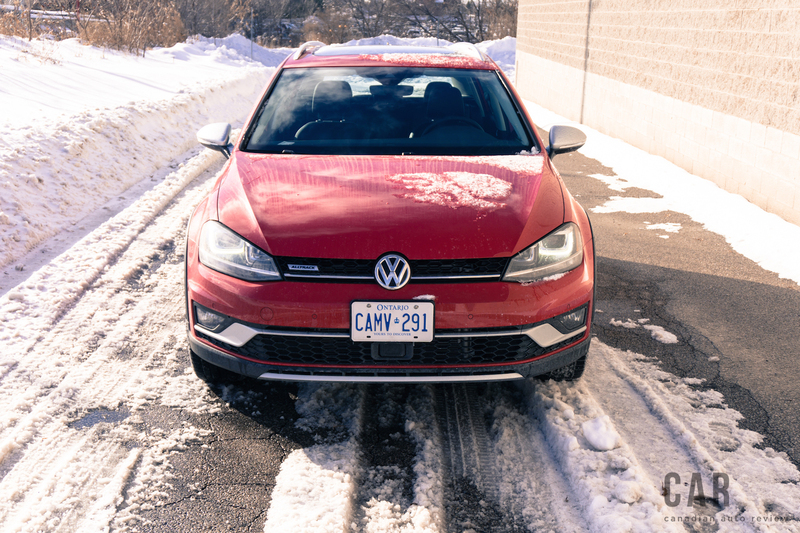 The added ground clearance over the standard Golf Sportwagen is more of an optical illusion and not exactly enough to tackle off-road excursions. 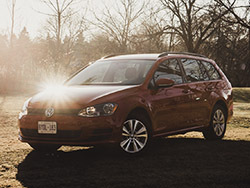 With over 6.5 inches of ground clearance, the Alltrack is less than an inch higher than the low-slung Sportwagen. (The Outback dominates however, with a whopping 8.7 inches of clearance.) On a side note, standard roof rails help with hauling bikes or kayaks. And if you thought the more expensive Alltrack’s main advantage over the Sportwagon was its all-wheel drive system, you’d be wrong. Even the Golf Sportwagon can be had with an optional 4MOTION AWD system for 2017. In fact, mechanicals between the two are shared. The 1.8-liter 170-hp turbocharged four-cylinder under the hood of each delivers plenty of pep, and can sling this Golf up to speed in a jiffy. 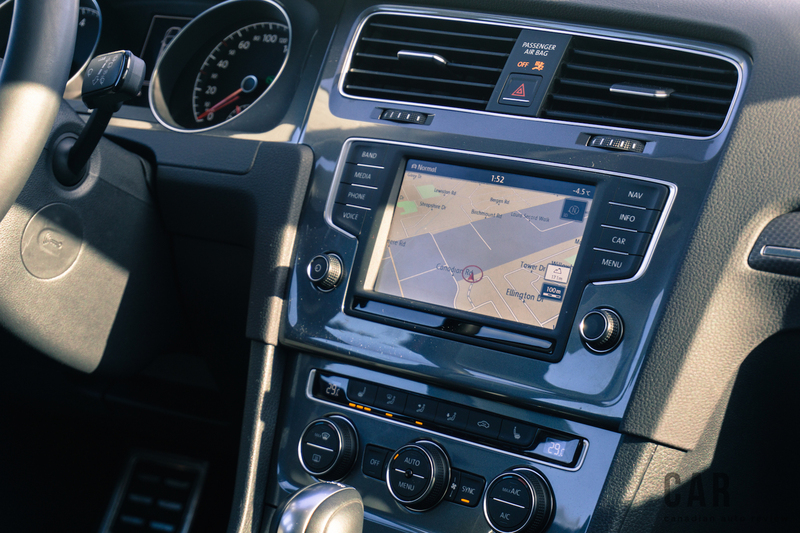 On the transmission front, VW’s six-speed dual-clutch DSG transmission still shifts like a bat out of hell and rumour has it, a manual is due to arrive later (hooray for manual all-wheel drive wagon unicorns!). 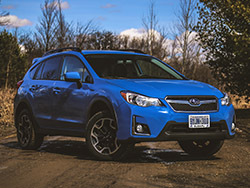 It’s a feature that Subaru has overlooked since it stopped the production of manual Outbacks – though you can still have a Crosstrek with three pedals. Don’t expect a diesel anytime soon, however. I was hoping that the Alltrack would drive just like the nimble Sportwagen I tested a few months ago, and it really delivered. 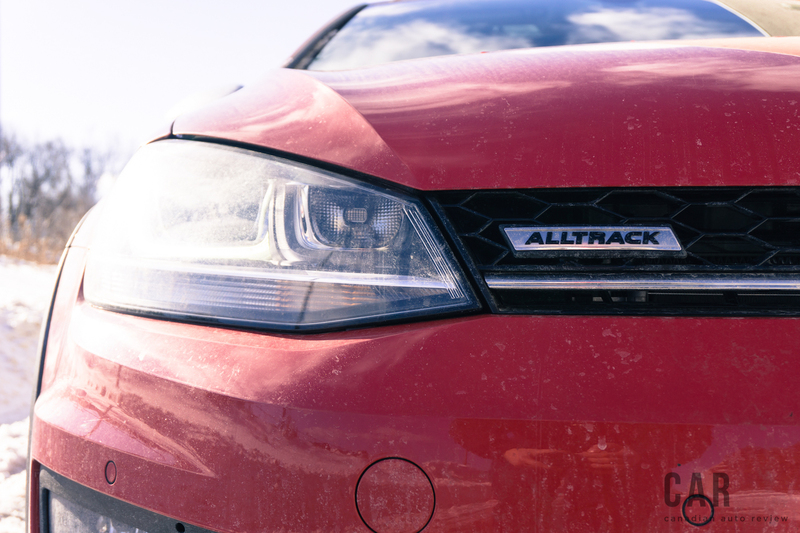 The Alltrack drove almost identically to its cheaper sibling and better yet thanks to its added DSG and AWD. Spry handling makes it a joy around bumpy or smooth roads, and even when eating up boring highway miles. 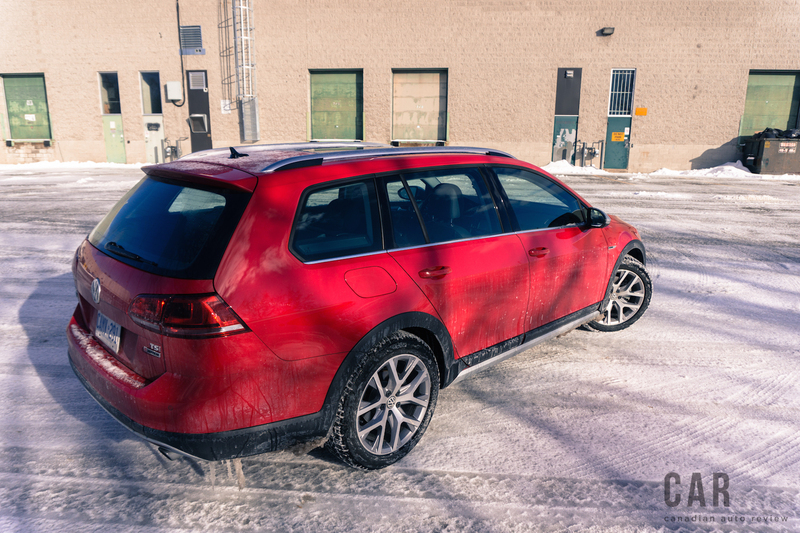 The Alltrack has a slightly firmer ride than the Sportwagen but it remains comfortable and composed. Volkswagen’s well-sorted MQB chassis makes for a rigid car that responds instantly to inputs. Nose into a corner and there’s body roll, but not enough to disturb the ride. 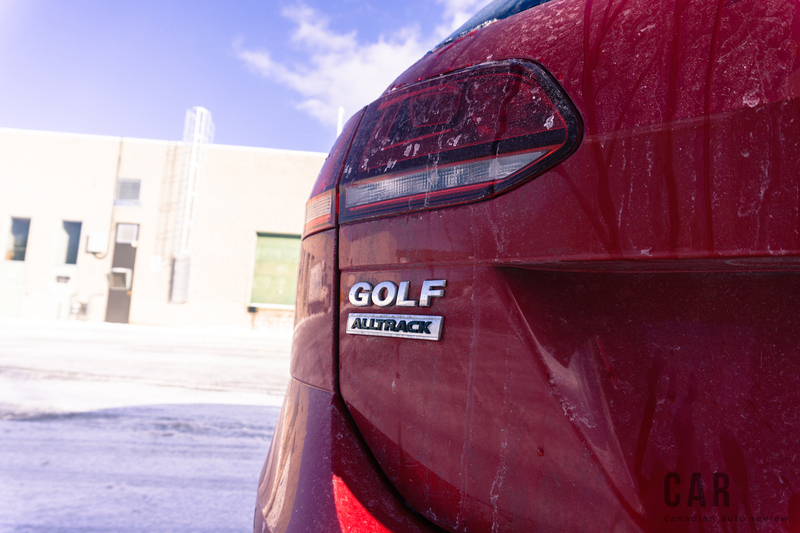 Like every Golf, the Alltrack has electrically assisted power steering and while that means less feedback than in the good old hydraulic days, the ratio is well matched to the car’s mission, and turn-in is precise. It’s easy and fun to get into a rhythm on twisty roads. 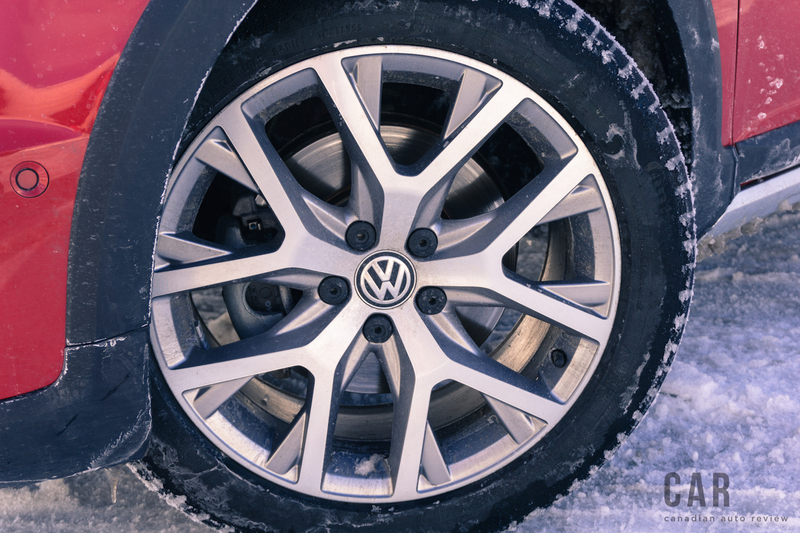 The Alltrack is even more enjoyable when you take the beaten path; sliding around on fast dirt or snow covered roads is matched with intuitive and predictable responses. Flick the nose in abruptly, wait a moment, then lean on the throttle and power your way out of corners with the motor whaling all of its 199 lb-ft of torque to tug you out. If the going gets a little tougher, engaging the Off Road mode will laterally lock the axles (via electronic modulation of individual brakes). Yes, Subaru’s Symmetrical All-Wheel Drive is a proven off-road system that might have more creds but let’s be frank: we’re talking about lifted station wagons here. 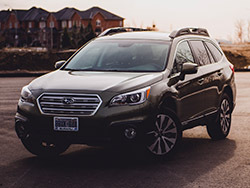 Either car offers more off-road capability than you will likely ever need; these vehicles are meant to provide your significant other mental security during those trips up to Blue Mountain, or to get you to a campsite that is only accessible by forest trail. They’re not for crawling the rocks of the Canadian Shield. 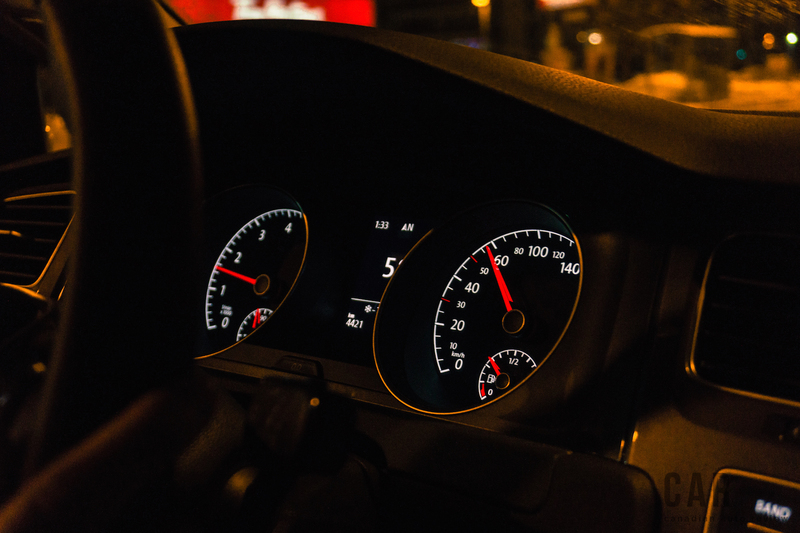 With all of these qualities, the driver is the one who gets rewarded the most. The Alltrack is definitely sized for small families – it’s not meant to haul entire soccer teams. While it’s probably safe to say that the Subaru Outback or Crosstrek will be the more spacious and versatile option, there are still a lot of reasons to choose the Alltrack. An Audi badge wouldn’t be out of place here; it’s that refined, both in interior appointments and in driving dynamics. Secondly, if “fun factor” ranks even a little bit as a priority you can stop your search here. 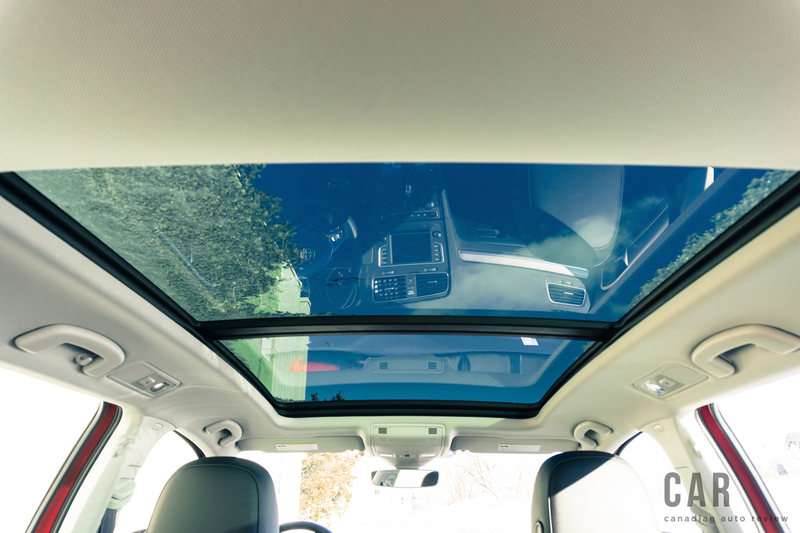 The Alltrack floors the Outback in this regard. Interior wise, NVH is quite low, there are no imperfections and the firm, supportive front seats are decent road-trip companions, but they are missing lumbar adjustment. Adults can fit in the rear seat but space isn’t exactly generous. The same goes for the cargo hold. When it comes to pleasing passengers, the much more spacious Outback takes the point. 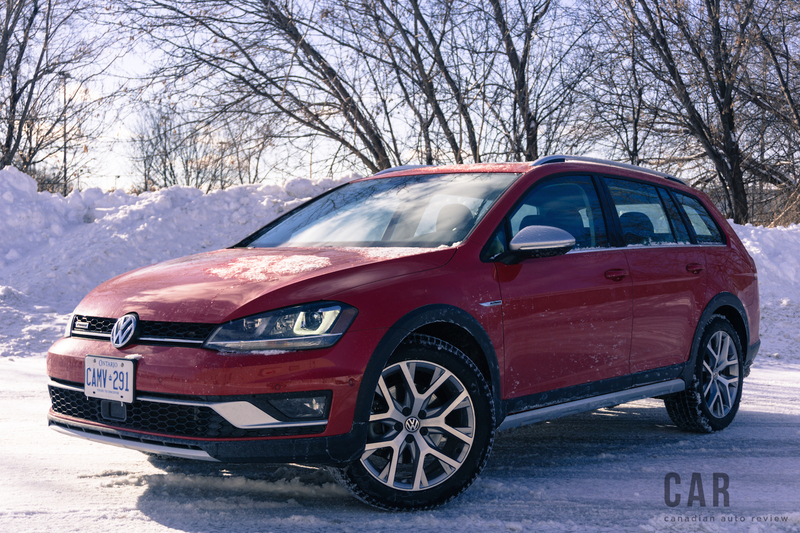 Cars like the Alltrack and the Outback provide great alternatives to the cookie-cutter SUV. 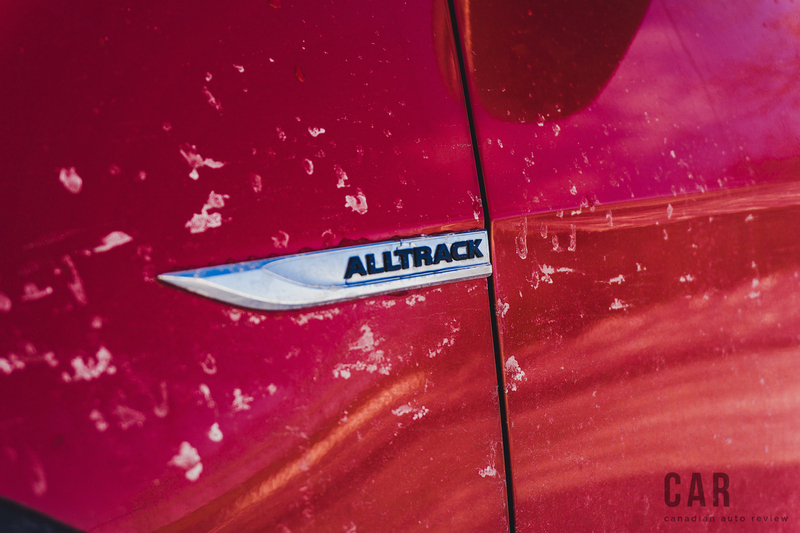 In the genre of rugged-looking wagons, the Alltrack manages to find a sweet spot in the middle. It is significantly more upscale looking and feeling than the Outback, but it is still affordable compared to the Volvo V60 Cross Country or the Audi Allroad. 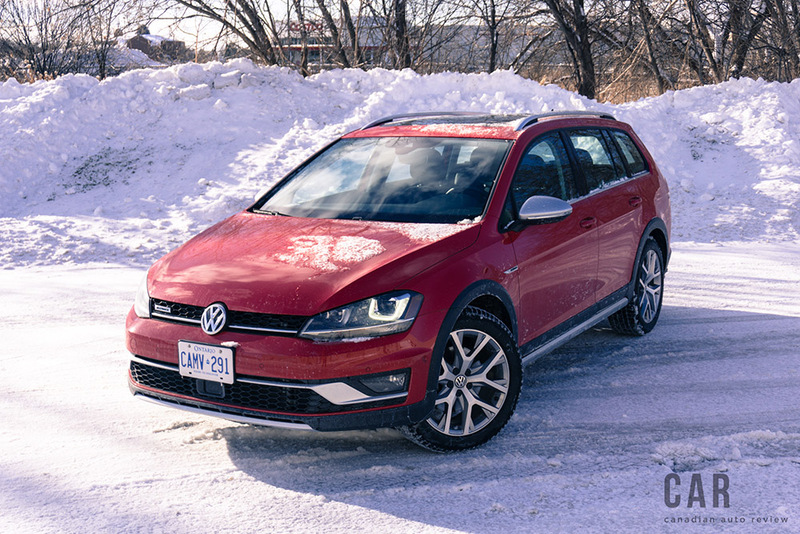 While a base Golf Sportwagen with 4MOTION costs over $9,000 less ($26,045) than the basic Alltrack ($35,295), it’s missing the lightning quick DSG and the tough looks. We’ll let you decide what’s most important – we’re just happy there’s another phenomenal wagon option in North America.